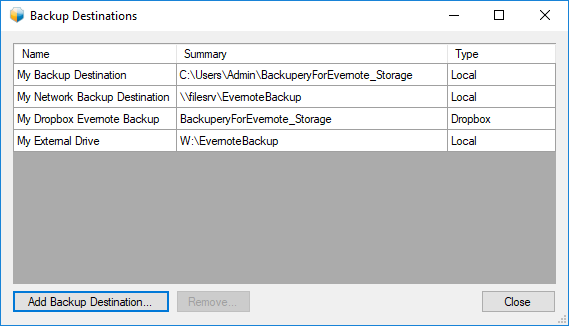 Backupery for Evernote is an application to make automatic and regular backup of Evernote data to the destination of your choice: directory on your computer, external disk drive, NAS (Network Attached Storage), USB stick, network share, Dropbox, cloud-synced directories like Google Drive, Dropbox, Microsoft OneDrive, Amazon Drive, Box Drive, etc. Download for Mac OS Compatible with Mojave, High Sierra, Sierra, El Capitan, Yosemite. Works with Non-Mac App Store Evernote only. Easy to Restore. 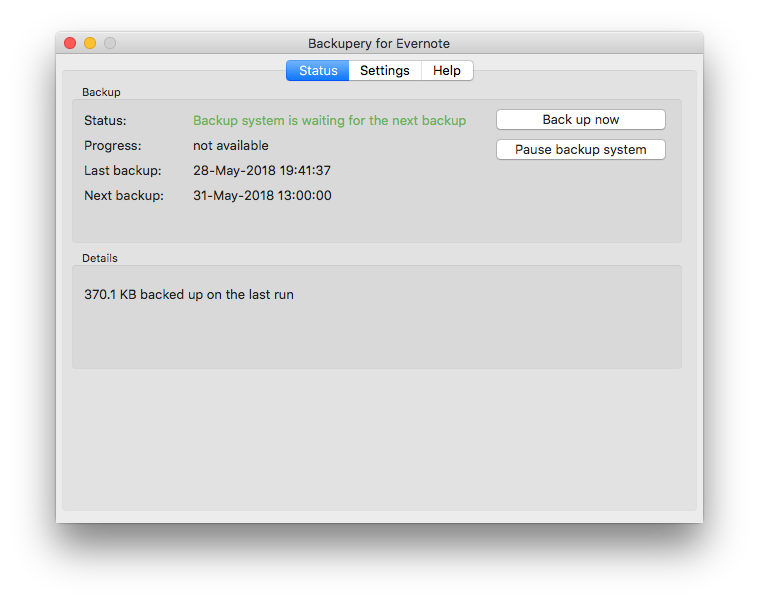 Backupery for Evernote employs Evernote-standard export technology, so no third-party tools are required for restoring (official Evernote client is enough). Backup Local Notebooks & Unsynchronized Changes. Backupery for Evernote backs up all of your notes including those that are stored in local notebooks. Also, the application backups your local unsynced changes, so they are safe. Backup Notes with Attachments. Each attachment of each note is backed up by the application. Secure. You don’t need to share your credentials for Evernote or for any cloud storage, everything is done on your computer only. You even don’t need an internet connection to make backups (it is essential if you are travelling, for example). Preserves stacks structure. For example, the notebook MyNotebook from stack MyStack is backed up to the directory MyNotebook that is inside directory MyStack. Preserves notebooks structure. 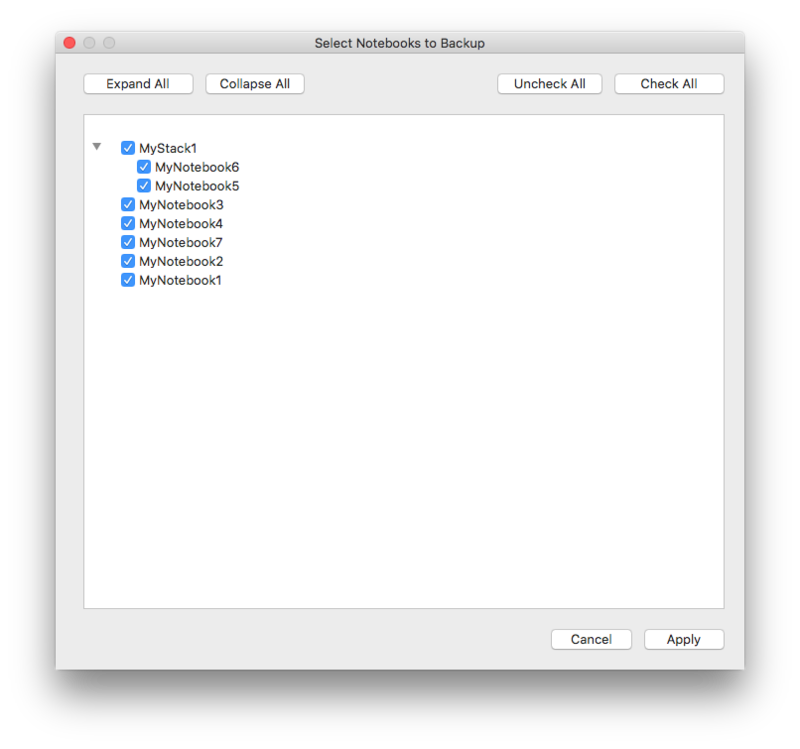 Notes from each notebook are saved to a separate backup file, so the notebooks structure is preserved. Selective notebook backup. 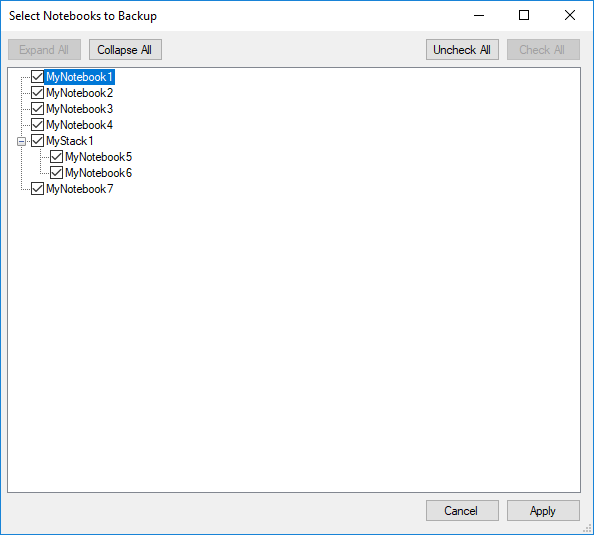 You could select notebooks which you wish to backup. Export to HTML. 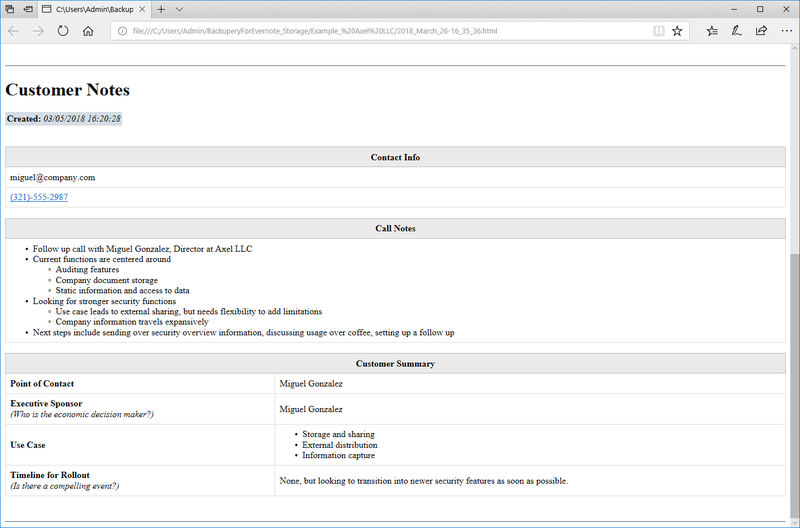 Besides the Evernote-standard export format (ENEX) you may choose to export your data to HTML so it can be easily viewed in any modern web browser. Business & Personal notebooks support. 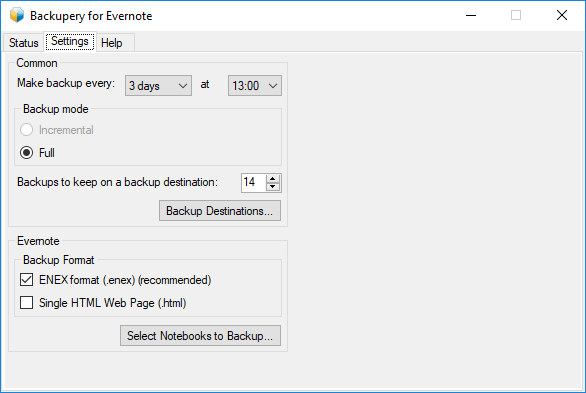 Backupery for Evernote backups your Business and Personal notebooks. Microsoft Store App support. 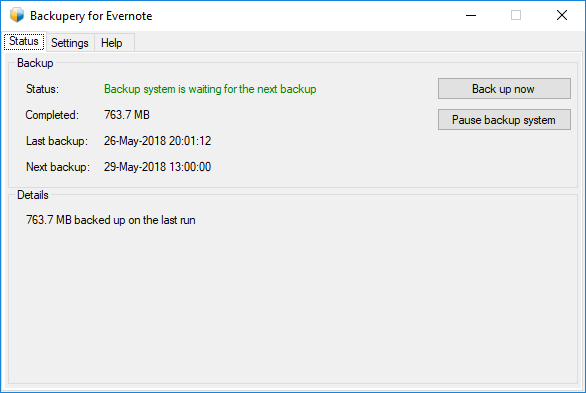 The application also works with official Evernote client installed from Microsoft Store (applicable for Windows edition).